of moisture during shipping and storage! Container Dri consists of an advanced formula of granules in a Tyvek® envelope that turns moisture into a thick, no-spill gel. 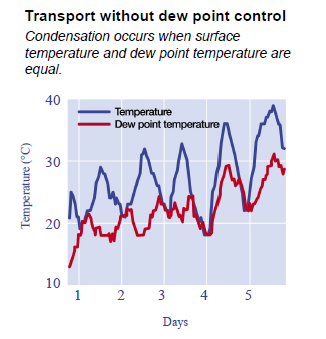 This desiccant formulation controls moisture and dew point temperatures in shipping containers. 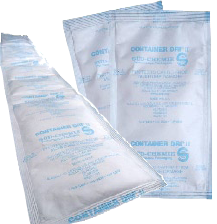 Container Dri® II is a specially designed desiccant aimed at protecting cargo during shipping by absorbing moisture vapor from the air. In doing so, Container Dri II reduces dew point temperature (the temperature at which condensation begins to form, causing “container rain”), keeping cargo safe and dry. As goods move through intermodal systems, they are susceptible to water damage, condensation and spoilage. Container Dri II adds a new level of protection in climate controlled containers by ensuring moisture reduction. Container Dri II absorbs up to three times its weight in moisture, and through an advanced formula, traps it as a thick, no-spill gel. By using Container Dri II in refrigerated or non-refrigerated containers, cargo will remain fresh for an extended period of time in dryer atmospheric conditions. Container Dri II has the ability to protect shipments from start to finish, through all temperature ranges and relative humidity variances. Container Dri II is available in both strip and single varieties. Container Dri II Strip is the only solution on the market with an adhesive backing that ensures easy installation onto the walls of shipping containers or inside storage warehouses. Individual bags can be placed between stacks of cargo. Container Dri II is made of completely safe, non-toxic materials and can be disposed of with regular waste. Generally, 32, 125-gram bags of Container Dri II are recommended for 20-foot shipping containers, and 64 bags are recommended for 40-foot containers. The number may vary depending on shipping conditions and the nature of the products being protected. Bags are placed with cargo print-side-up or adhered to the sides of the container walls. Container Dri® II protects cargo during shipping by preventing “container rain” that can damage goods. It is available in both strip and single configurations. 8 At 90 percent RH at 25 degrees, the absorption capacity of each bag will be approximately 280 percent of its weight. 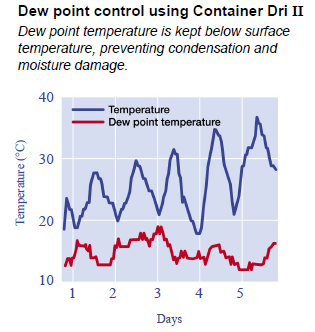 8 Container Dri II continues to reduce the relative humidity down to levels below 40 percent RH, which decreases the dew point temperature even further. 8 Container Dri II has the ability to protect shipments from start to finish, through all temperature ranges and relative humidity variances. Container Dri II protects all types of cargo. Container Dri II Strips fit easily into the grooves of contain walls. For questions regarding this website contact the webmaster. 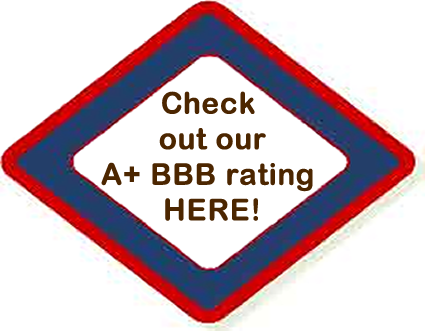 ©1997 - 2012 AMERICAN FILTRATION INC.